So we started Flashback Friday with M.C. Brains in Cleveland, OH but I decided to slow it down this time with John Legend in Springfield, OH. John has always been involved in music it seems his whole life, with being 4 years old singing in a church choir. He started playing the piano at 7 years old .. I wish my mother would have nurtured my musical aspirations (who knows what I could have been lol). While in college, he ended up being introduced to Lauryn Hill and later hired to play piano for her single Everything is Everything which is featured on her debut album The Miseducation of Lauryn Hill. Fast forward past John graduating college, doing gigs and recording demos and mixtapes... fast forward to 2001 when he actually was introduced to Kanye West, hired by Kanye to sing some hooks on a couple of songs and later signed to Kanye's label, GOOD Music. John Legend dropped his debut album, Get Lifted in 2004 after recording at various studios in the U.S., one being Sound Images in Cincinnati, OH. When he dropped this album it received varied reviews, but all positive. From this album, 4 singles emerged: Used To Love U, Ordinary People, Number One and So High. Since it dropped, Get Lifted has gone double platinum, has sold 4 million units worldwide and has received various awards. Since then, he has released 4 other albums: Once Again, Evolver, Love in the Future and Darkness and Light. He also did a collaborative album with The Roots entitled Wake Up! 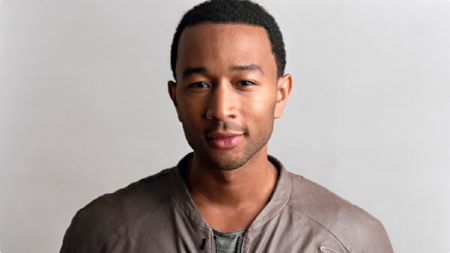 John Legend is a superstar and has always maintained to nurture his deep roots back in Springfield, OH by donating thousands of dollars to the cities school district as well as his time to programs and events. John Legend cutting the ribbon on a theater named after him in Springfield, OH. Flash back to one of my favorite songs, So High and check out the video below.